On behalf of the Board of Directors, I am very pleased to announce that Microform has selected a new Director, Neil Bowker, who will begin on January 2, 2014. 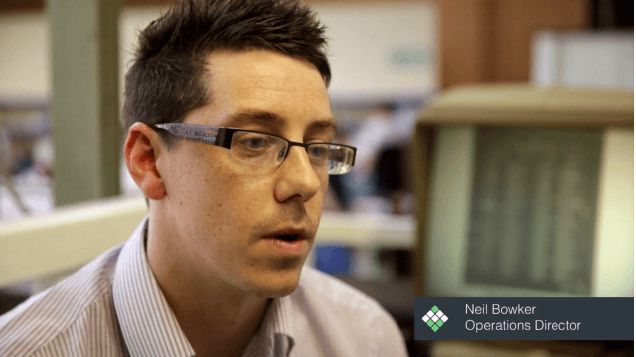 Neil brings a wealth of experience within the Document Management industry. His skills and leadership will be a tremendous asset to Microform as we seek to increase our impact within the Document Management industry in the years ahead. Neil was previously the Production Manager, where he has served for 2.5 years. He has also been a close friend to the company working in partnership for the last 10 year and has 14 years experience in the Document Management industry. The board of directors Glennis Le Page, Nigel Le Page and Jonathan Le Page welcome him to the team. Well done Neil and congratulations! !